New technologies are providing homeowners with more convenience, greater control, and higher heating and cooling efficiencies than ever before. We carry and install programmable and WI-FI thermostats, and smart oil gauges. As new products are introduced, Anderson Fuel continually evaluates, selects, and offers products with proven value for our customers. Please contact us for our professional advice and guidance at any time. Totally universal, no wires needed, installs anywhere. 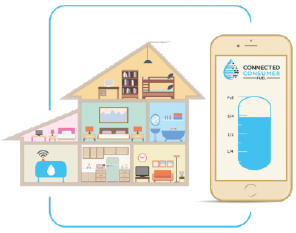 This monitoring device measures the level in your tank throughout the day and transmits this information over your home’s WI-FI network. Check your tank level from your phone. Don’t worry about walking to the tank again. Track your oil consumption. See how much oil you save by lowering the thermostat a degree or two.